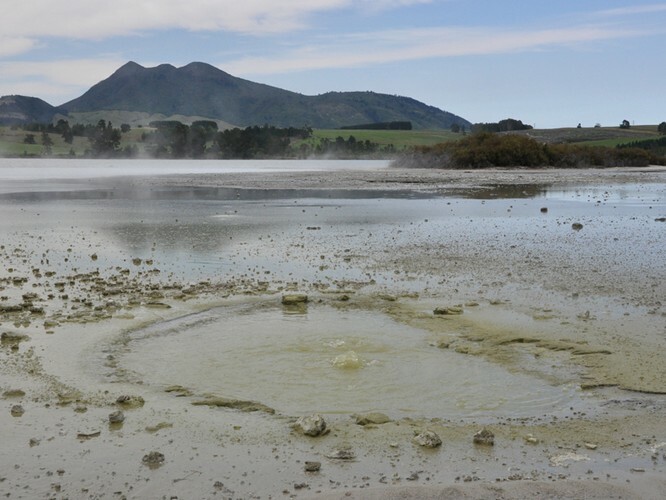 Come and explore the beauty, diversity and dynamic nature of the mysterious Rotokawa geothermal area. This exclusive visit to an area not normally accessible by the public, will explore the natural wonders that exist within, geothermal landscapes, mining history and the weird and wonderful plants that inhabit the area who have surprisingly hot feet. Discover why we need to protect these areas and the importance of pest and weed control. This stunning walk is one not to be missed. NB: Ideal for 4WD vehicles, or those with a high wheelbase. Car pool available. Bookings must be paid for in advance. See website or phone 0800 694 732 for booking enquiries. Showcasing, celebrating and acknowledging all things conservation for the last 50 years, Mahi Aroha brings together the Central Plateau's stunning natural and historical treasures and serves them to the public in an exciting 50 year anniversary 2013-14 summer programme. A joint initiative between the Department of Conservation and Project Tongariro, Mahi Aroha offers you exclusive opportunities to explore our local flora and fauna, landscapes, cultural and historical sites, creatures and the people working tirelessly to ensure our very own piece of paradise remains in tact for future generations. Learn about the conservation efforts currently underway in our area and what you can do to help. Meet the people working hard behind the scenes protecting what is ours and be inspired to lend a hand. Bring the kids, grab a friend and explore your backyard like never before. This is our place, let’s protect it, nourish it and hold onto it. Mahi Aroha - doing it for conservation.